Dr. Leon Reyfman has been voted by his peers as a Castle Connolly Top Doctor as well as New York Super Doctors and selected to the prestigious group of New York Magazine Best Doctors. (2017 America’s Top Doctors). 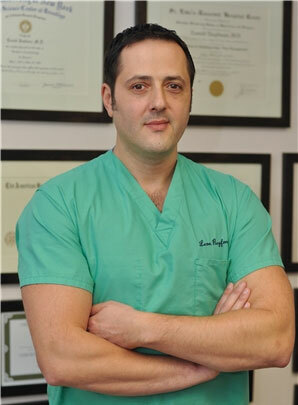 Dr. Leon Reyfman has extensive clinical experience and training in invasive and non-invasive pain management. He currently serves as the Director of Interventional Pain Medicine at Long Island College Hospital, and he is Assistant Clinical Professor of Anesthesiology at SUNY Downstate Medical School. Dr. Reyfman is a member of the American Society of Interventional Pain Physicians and the International Spine Intervention Society. Dr. Leon Reyfman is actively involved in pain management research; he’s seen first-hand the profound benefits that stem cell therapy has had on patients around the world. You may only need one or two visits before you begin to feel incredible relief from the debilitating pain you thought would never leave. As an interventional pain management specialist with years of experience in NYC, Dr. Leon Reyfman and his team have relied on traditional methods of pain management. But now they offer stem cell therapy treatment and regenerative therapy for all of the above-mentioned conditions … and more!